Q: What do you love about farming? A: I love the family aspect of farming. Being outside is great, and knowing that what I’m doing on my farm is impacting the world is a wonderful feeling. What is even greater is when I’ve got my family right there helping me. That’s the fun part. Farming brings us together and teaches us so many lessons about life. Living on the farm is just a great way for us to live life. Q: Why is it important to you to stay involved in agriculture? A: I’m part of an industry that is providing for the world, that is much bigger than myself. I want my kids and their kids to know that we, as agriculturalists, are doing something good that must be passed on for future generations. We will not be here forever, and I feel that it is my responsibility to teach the next generation of farmers. It’s important to show kids how much hard work and commitment is required so when their time comes to farm, they are prepared to take over. Staying involved in agriculture is a way for me to do that, and it is something I feel is very important to have present on my farm. 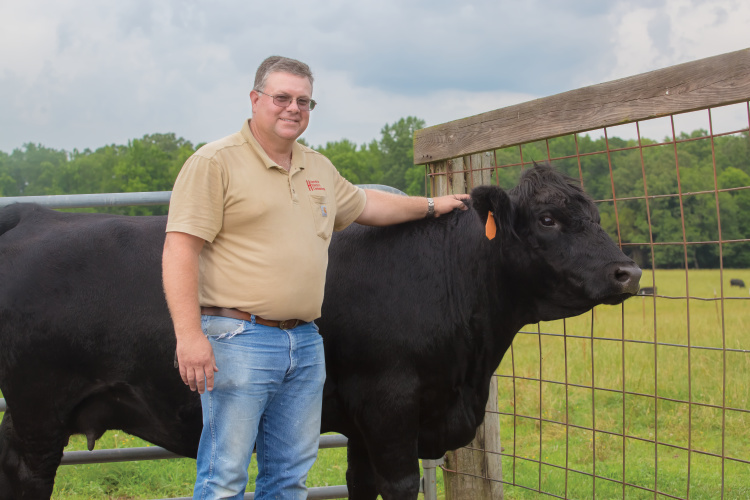 Q: There are challenges cattle farmers face each year. How does your farm overcome them? A: We do lots and lots of praying. Plus it all goes back to the family aspect of farming. When we come to a speed bump in the road, we know the people around us have our backs and we can rely on them. It makes us closer as a family and teaches us about each other and ourselves. Coming together as a family helps us overcome any challenge we face on the farm. Q: What advice would you give on how to share agriculture’s story? A: Get involved. Join programs like 4-H and FFA, and experience hands-on work to know what you are talking about. The voice of agriculture is needed now more than ever, and experience in agriculture helps tell that story. There will be naysayers, but do not worry or give up. Keep focus on what your goals are, and keep pushing to share your agriculture story. We need young people in this industry who are brave, confident leaders that will stand up for the tradition of agriculture. Q: In your eyes, what does the future of agriculture look like? A: I think the future of agriculture is bright. Without what agriculturalists are doing every day, the world would just circle the drain. If a young person can find a way to get involved in agriculture, they can make a living. The industry is just going to continue to grow as future generations come about. It makes me excited when I see young people at livestock shows or Farm Bureau meetings because I know they are preparing to take over this industry in the future. A: My family and I are Farm Bureau proud because of the family-driven and God-focused organization that it is. 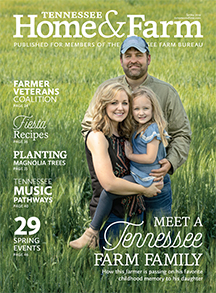 Farm Bureau works to be the voice of Tennessee agriculture, and that makes me a proud member of this organization. If Farm Bureau made underwear, we would all have Farm Bureau underwear!